London: An Indian freelance journalist, who has been the target of online trolling and harassment for her investigative reports, has bagged the 2018 London Press Freedom Award for Courage. 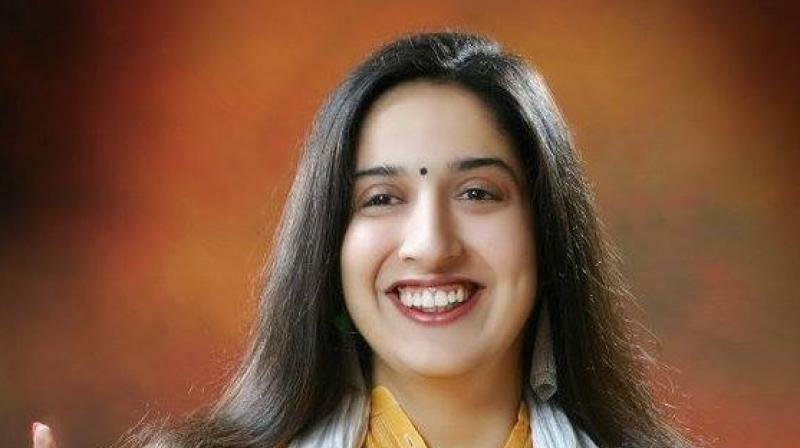 Swati Chaturvedi, author of the book 'I am a Troll: Inside the Secret World of the BJP's Digital Army', beat shortlisted journalists from Italy, Turkey and Morocco for her work in exposing the "IT cell" within the ruling Bharatiya Janata Party (BJP) for keeping an army of angry trolls. "This means a lot. But I think it is very sad that you have to win an award for courage just for doing your job," Chaturvedi said at the first award ceremony organised by the UK chapter of Paris-based Reporters Sans Frontieres (RSF) or Reporters Without Borders in London on Thursday evening. "The US President (Donald Trump) saying we are the enemy of state; in India last year journalist Gauri Lankesh being gunned down outside her house; it is very frightening. There is something clearly very wrong," she said. "I don't think journalists have stopped what they are doing, but the governments across the world have become very intolerant of any criticism or scrutiny." The columnist for print and broadcast media in India commended the work of organisations like the RSF, a non-profit organisation that works to document and combat attacks on journalists around the world. Charturvedi added: "I get a lot of online threats but if I let that affect me, I won't be able to do my job. It is heartening to see RSF speaking up for journalists because we have become an attacked, endangered species. At least there is someone advocating the rights of journalists." "I think it is scary to be a journalist in today's world, especially if you are doing investigative journalism. But at the same time, it is very necessary," she said. Chaturvedi was among four worldwide winners at the awards held at Getty Images Gallery in London. "Recognising great journalism is important, not least because it sends a message of solidarity, proving that there is an international community will stand up for the free media no matter where it is threatened, or by whom," said RSF UK Bureau Director Rebecca Vincent. The ceremony highlighted the importance of press freedom and safety of journalists, especially in the wake of the killing of Saudi Arabian journalist Jamal Khashoggi in the Saudi embassy in Istanbul last month.